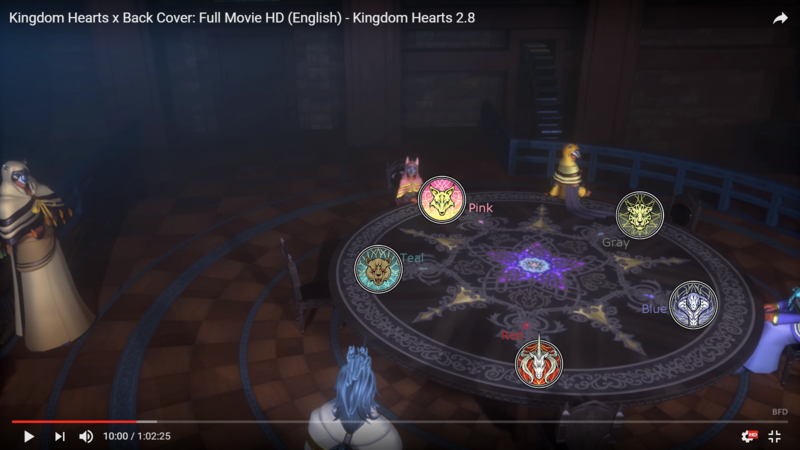 I noticed that on the Foreteller's table, there's gems embedded in it. Designating where they sit. Admittedly, it's hard for me to tell if Aced and Gula's spots are correct since the colors are similar, but I think they look right. -Help create the tension between them. Or course, it can easily be both. It looks like a backwards version of the Ux emblem when changing unions. Drives me crazy that it doesn't match.. Didn't even notice that before, and now it's driving me insane! If you looked at it like for example, a plate. Put the top part face down on a table and it would technically match the seating. Great know I'm thinking it..
Gula is getting another helping of mashed potatoes. Ava is dipping chicken tenders in both honey mustard and BBQ sauce. Invi is using utmost table manners and slightly dabbing her mouth with a napkin.